Apprenticeships seem to be gaining a lot of favor these days with more and more people talking about ways to prepare for a fulfilling career, outside the bounds of a classroom. For AEOP, they’re not simply a trend, but a critical and longstanding component of our programming. AEOP apprenticeships offer high school and college students who want to explore what it’s really like to work in a science or engineering field a unique opportunity to learn firsthand what it’s like to conduct research, working in science and engineering labs across the country. Research fields vary from lab to lab, but one thing is consistent for all apprentices: No matter where you are, you will get hands-on experience in research and the attention of a dedicated mentor. During the apprenticeship, students are paired with mentors who will share theory and practical skills necessary to be successful with experiments. “Throughout the course of this program, I was able to grow my research skills, enhance my public speaking and presentation abilities and help produce research with real, tangible results,” noted Tiana, 2018 High School Research Apprenticeship Program (HSAP) student. Throughout the summer, you will learn critical skills and new concepts that are suited to your level of knowledge through one-on-one work with your mentors who ensure that their lessons work in tandem with important classroom learning. As Tiana said, “it was incredible to see concepts I learned in my science classes at school being applied in a lab setting.” Her mentors started with what she already knew about subjects and guided her through the new field (in this case biochemistry) and connected her with the tools and techniques to conduct research. Science and Engineering Apprenticeship Program (SEAP) – SEAP matches practicing DoD scientists with talented high school students. Apprentices work at Army labs and facilities with civilian research teams. 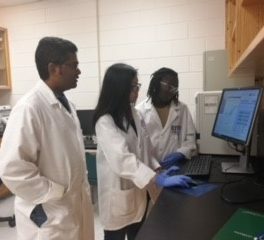 High School Apprenticeship Program (HSAP) – HSAP provides an authentic science and engineering research experience alongside university researchers sponsored by the Army Research Office. Research & Engineering Apprenticeship Program (REAP) – REAP places talented high school students, from groups historically underserved in STEM, in research apprenticeships at area colleges and universities. 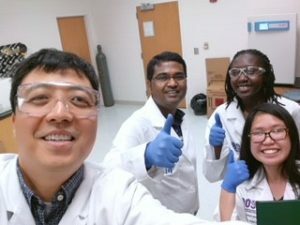 Undergraduate Research Apprenticeship Program (URAP) – URAP, in conjunction with HSAP, provides college students with an authentic science and engineering research experience alongside university researchers sponsored by the Army Research Office. College Qualified Leaders (CQL) – CQL matches practicing DoD scientists with talented undergraduate students creating a direct mentor-student relationship at Army labs and facilities.